This week was AWESOME. On Tuesday, I got 4 packages and I nearly fainted. IT'S FULL OF AWESOME-NESS. This week is one of my best IMM ever! SO EXCITED WHEN I GOT THIS. The Aussie cover looks absolutely gorgeous. I've read this book and it's OOZING with AWESOME-NESS. You definitely want to get this book when it's out! INSURGENT. Need I say more? Apparently this book was published in the US already and this is the Aussie cover. This was in one package with Storm so I'm excited to read this one too! YAY! I finally got the second book. I love Winter's Shadow, the first book in the series and I absolutely can't wait to read this! I've been hearing great things about this book and I've read reviews saying that the book has a certain dialect but I still can't wait to read this! Amazing week! I can't wait to get my hands on Insurgent!! I read Blood Red Road and really enjoyed it, I hope you do too. Happy reading! WOW! Such nice Books, Celine! Storm, Touch, Don't Breathe a Word AND Insurgent? *Squeaaaaaaaaaal!! * I'm so happy for you, like they're my books! enjoy enjoy enjooooy! I have Blood Red Road but I still need to read it. Insurgent! Lucky! 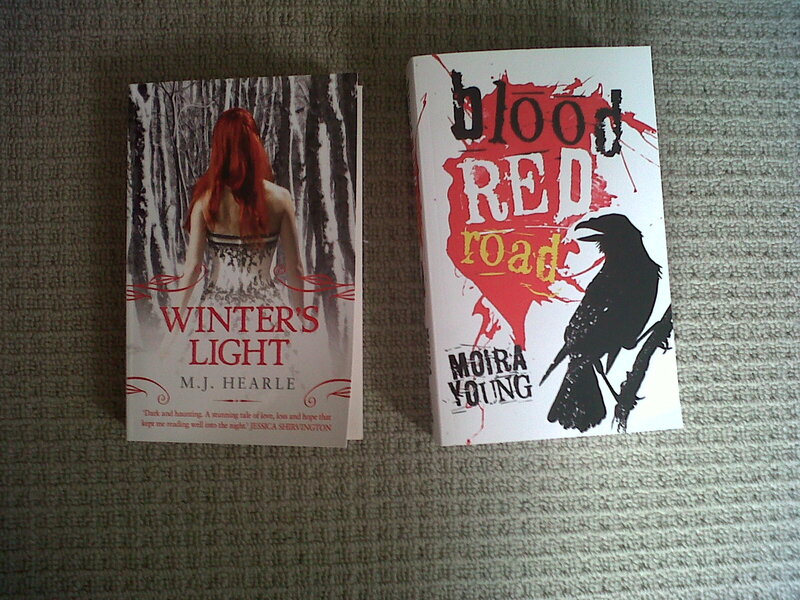 I've also been wanting to read Blood Red Road. I have Touch on my kindle and need to read that too. So many books! Happy reading! Team Jem! I want all of your books lol Insurgent looks soo good!! Happy Reading!! Aaaah... Celine? You weren't joking about it being an amazing week! OMFG! STORM! INSURGENT! It could be that alone, and it'd be awesome, but look at all the other pretties! EEEEEEE! Enjoy!!! Ahh! You got such great books. All of them sounds amazing! You don't know how happy you make by saying you loved Storm! I'm dying to read it :) I still haven't read Divergent so I can't say much about Insurgent, but I have to do it soon. Touch was a very nice read. And I hope you like Don't Breathe a Word! I've heard many good things about it. What a great week, Cel! I have Don't Breathe a Word on my wishlist, I'll be looking forward to your review! I know... I really need to read DIvergent. I didn't know this cover for insurgent, it's nice. Enjoy all your new books! SQUEEEEE! STORM! INSURGENT! STORM! INSURGENT! LOVE LOVE LOVE <3 Seriously, two more amazing books could no be laid to rest next to each other :D Oooh and super excited to read Touch, sounds AWESOME. And I have yet to read a Holly Cupala book, but I have heard such good things. Winter's Light is even better than the first, I can't wait to see waht you think, Celine! 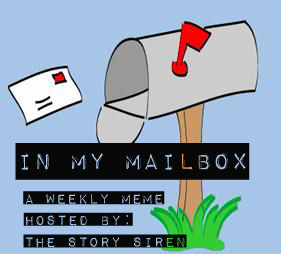 YOUR MAILBOX. IT'S SO AMAZING ENJOY, M'DEAR! Okay, now you made me sooooo jealous. You're so luck they got INSURGENT! I'm looking forward to you review a lot!! Have fun reading it!! EEEEEEEEEEEEEK CONGRATULATIONS ON YOUR FANTASTIC MAILBOX HUN! <3 <3 <3 I'm very jealous about all those books you got! And I know how much you loved Insurgent and Storm! WHOOOT! Wow, that's a great bunch of books! Blood Red Road is simply amazing, I hope you enjoy it! INSURGENT. INSURGENT. INSURGENT. INSURGENT. INSURGENT. INSURGENT. STORM. STORM. STORM. STORM. STORM. STORM. STORM. STORM. STORM. Wow, you have some great books over there :o Happy reading, you lucky girl! This is an incredible haul. Congrats!